Manufacturer of a wide range of products which include metering pump, reciprocating pump, fluid metering pump, metering pump with auto controller, api 676 metering pumps and water dispensers pumps. We are leading manufacturer of Metering Pump. Our offered range comprises Screw Pumps, Progressing Cavity Pump and Standard Screw Pumps. Increasing demand soon offered the opportunity for further expansion in India. These products are popularly demanded due to dimensional accuracy, precision engineering, superior finish, longer functional life, robust construction, high tensile strength and outstanding performance. Moreover, all our products are widely used in steel, agricultural, iron and other related industries. Our offered products are available for our honored customers at pocket-friendly prices. 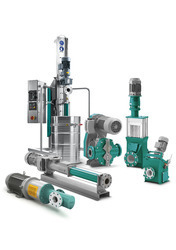 We offer a varied range of high quality Reciprocating Pumps. Manufactured with the latest advanced technologies and high quality raw materials, our products are highly acclaimed for superior quality and high efficiency. Reciprocating pumps are specially designed with accordance to the parameters required to ensure a quality of international standard. We also stringently check our products on various parameters to ensure clients’ satisfaction. We manufacture a wide range of Metering Pump with Auto Controller which are designed to achieve high standards of performance. These can withstand continuous duty operations & guarantees trouble free performance. We are leading manufacturer of Metering Pump with Auto Controller. Our offered range comprises Screw Pumps, Progressing Cavity Pump and Standard Screw Pumps. Increasing demand soon offered the opportunity for further expansion in India. 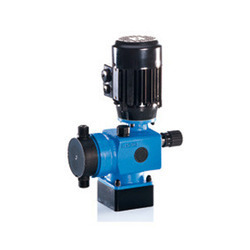 We are leading manufacturer of API 676 Metering Pumps. Our offered range comprises Screw Pumps, Progressing Cavity Pump and Standard Screw Pumps. Increasing demand soon offered the opportunity for further expansion in India. Our Water Dispensers Pumps guarantee the highest level of precision in dosing and reproducibility. For this reason, NEMO Dispensers and NEMO Hand Dispensers are employed in a great variety of applications and industries. We are leading manufacturer of Axial Flow Pumps. 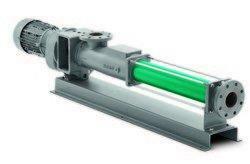 Our offered range comprises Screw Pumps, Progressing Cavity Pump and Standard Screw Pumps. Increasing demand soon offered the opportunity for further expansion in India. We are one of the most renowned names of the industry engaged in offering Special Metering Diaphragm Dosing Pump to the esteemed customers. These pumps are made available to the clients in different specifications to meet their specific requirements in the best possible manner. Moreover, we check these pumps on certain well-defined parameters to ensure their flawless nature. We are leading manufacturer of Pressure Pump. Our offered range comprises Screw Pumps, Progressing Cavity Pump and Standard Screw Pumps. Increasing demand soon offered the opportunity for further expansion in India.